Last edited by sprint; 09-16-2012 at 02:23 PM. Good news for BSNL Broadband subscribers. After a LONG time BSNL is readying to upgrade the bandwidth for some plans. In 2007 BSNL last upgraded their bandwidth from 256 kbps to 2 Mbps for their ADSL based broadband services. This announcement comes as BSNL is facing stiff competition from other national and local players in market. Airtel and Reliance being a national ISP is giving very much competition to BSNL broadband.In Hyderabad fibre based ISP Beam Telecom offers more than 10 Mbps download speed in some plans. The Hindu reports that BSNL will upgrade the bandwidth in some selected home plans with monthly rental of Rs. 625 and Rs. 750 in Andra Pradesh circle. It has been known that to address the net decrease of broadband subscribers BSNL AP circle sent proposals to double the existing speeds have already been sent, and the customers can expect the results soon. So if the promise is kept, 256 kbps unlimited combo plan 625 will offer 512 kbps and 512 kbps unlimited plan 750 will offer 1 Mbps. Samadhaan scheme for settlement of disputes in respect of Broadband usage has been extended up to March 31 next year, to retain customers planning to migrate to other connections. In a bid to promote the DSL Broadband services, state run telecom giant Bharat Sanchar Nigam Limited (BSNL) today announced the launch of Free Value Added Services like Games on Demand and Music & Video on demand services for its new broadband customers. The new DSL Broadband subscriber will get free access of Broadband VAS worth Rs. 247 over the new broadband connection named Games on Demand (GoD) services by India Games, Music & Video on demand (MoD) service and Free Games on Hungama Portal. The promotional offer will be available from 1st August, 2011. Recently BSNL also launched Long Duration Payment / Advance Rental options for its Broadband customers where in subscriber can get Free Broadband access up to 12 months effectively.To Avail the Free Broadband for 12 Months offers, subscriber need to pay Fixed monthly charges for 24 months in advance and he will get Broadband Access for 36 months. With the Games on Demand (GoD) service, BSNL Broadband subscriber can access more than 300 online games worth Rs. 49. While under the Video & Music on demand, subscriber can enjoy more than 75,000 digitized music albums and more than 2000 digitized video music albums are available which includes contents in Hindi, English and Regional Languages contents from bollywood, Hollywood, Religious and much more worth Rs. 149 just at free of cost for one month. To avail the Free GoD/MoD services, subscriber needs to visit http://bsnl.indiagames.com or call 1800 425 0500 while for Music and Video on Demand services BSNL Broadband users; download unlimited songs, videos, movies; play unlimited games online | BSNL Broadband | Hungama.com or call 1800 209 7010 after availing new BSNL Broadband connection. 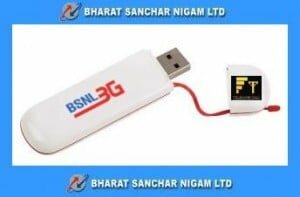 On the occasion of festive season of Diwali, Pan India 3G mobile service provider Bharat Sanchar Nigam Ltd (BSNL) today announced the launch 3 New Offers for its 3G and 2G Mobile subscribers across India. BSNL offers 25% extra free data usage on any 3G data plans/packs for all new activations of 3G bundled data plan with FRC52. All new 3G data card subscribers can select any data RCVs, will get 25% extra 3G data usage for a period of six months from the date of purchase. The validity of the data voucher will not be increased only extra 25% 3G data will be credited to the subscriber account. This offer will be open for a period of 90 days w.e.f 24.10.11. On the occasion of upcoming festive season of Diwali, Indiaâ€™s National Telecom Backbone and Pan India 3G mobile service provider Bharat Sanchar Nigam Ltd (BSNL) today announced the launch of new fully loaded prepaid â€œ3G Diwaliâ€� plan with Free SMS for life time,per second tariff and lot more for prospective 3G subscribers in Kerala circle. BSNL â€œ3G Diwaliâ€� plan comes with Life Free SMS facility (100 SMS per month) and also enables its subscribers to make calls to 5 Local Number at reduced call rates 20p/min for BSNL numbers and 40p for any other network number registered under F&F scheme. It has some unique preloaded features like Night Callings at reduced rates without any add-on pack etc. The â€œ3G Diwaliâ€� plan will cost Rs. 59 for SIM and Rs. 24 for FRC (total cost of starter pack is Rs. 83) comes with talk value worth Rs. 24, Free 200 Local and National SMS,100 MB 3G data usage and 100 Free 3G Video Calls. Ithu Gadget planet section il idunnathalle nallathu? Reliance Industries and Airtel gearing uo to launch LTE, better known as 4G, which can give a download speed of 30mbps (tested up to 82mbps), in wireless mode. With multiple Sims with TV, mw oven, fridge, AC, PC etc etc and using a tablet having 4g capability one can operate all these, this will realise by 2012 end, according to plans. Airtel boradband is perfect . no downtime. But connection terminate cheyyanel aanmaru valippikkum. Worst Customer care I have ever seen, (vodafone is next to it) . These folks will disconnect call if they have no proper answer. Applied for BSNL, 2 mnths back. No response.